The subscription business model is a business model in which a customer must pay a recurring price at regular intervals for access to a product or service. In this article, I will work you through how I have taken advantage of Paystack Subscription to build a fully functional subscription-based website for my client. Paystack has grown to become the best payment solution platform in Nigeria - even in the whole of africa. On the developers part, they have got a well documented API with loads of libraries both from the community and from paystack themselves. Paystack Subscriptions allow customers to pay a specific amount every hour, day, week, month, or year depending on the recurring interval you set. With subscriptions, you only need to initialize the first payment, and Paystack will handle the renewals when they are due. 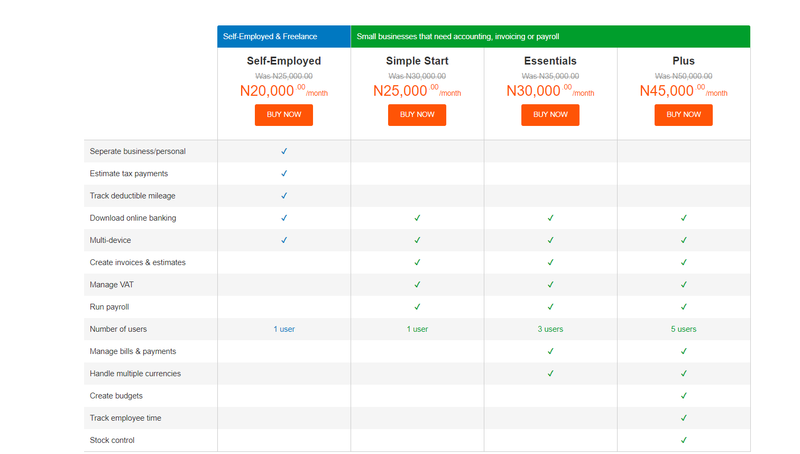 We will build a subscription-based website for a fictitious company that offers payroll application on subscription basis. An interested customer will visit the website and choose any plan of their choice, then subscribe to that plan, as from then going forward paystack will take care of debiting the customer when payments are due. We are going to create a method that will keep listening to webhook in other to intercept all recurring debit. As you can see from the screenshot, we need to specify the amount. According to the docs on paystack website, if you want to create subscription by calling the create subscription endpoint, you must have charge the customer before as it requires a customer code and authorisation. Hence, I chose to charge the customer with amount of the plan selected without passing the plan parameter to get back customer code and authorisation. 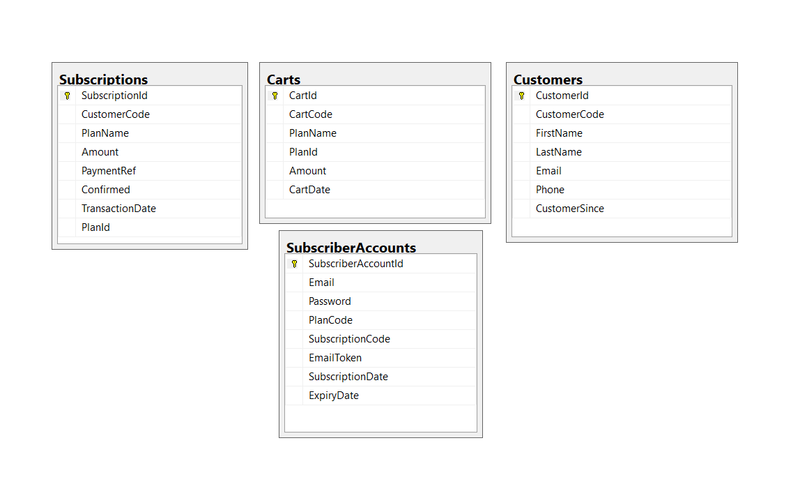 First let me show you the application database table structure and explain what each of them are used for. This is used to collect a selected plan details of a customer since they may be new and we dont have their record with us. This stores the customer information after payment has been made. This is used to store payment histories of our clients both initial payment and also all the renewals. This acts as the client account - here we can check for the expiry date to know if the subscriber is still active. Notice that we have subscriptioncode and emailtoken fields, these two are need as they are used to cancel subscription. Let's move to charging the customer. 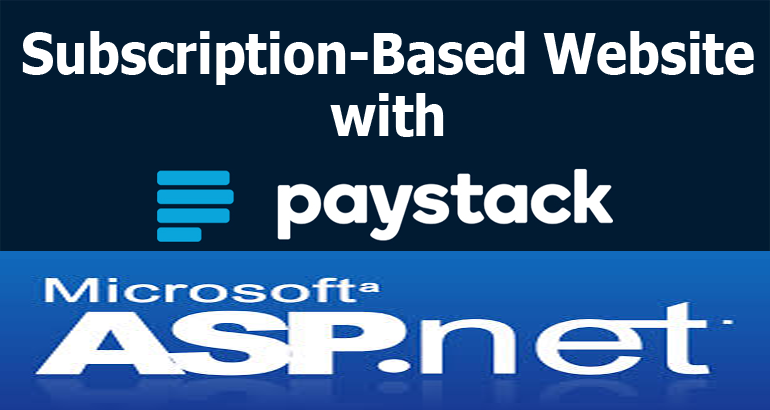 Since am writing this in .Net I will be making use of .Net Paystack SDK written by me. This method will be called whenever a customer select any of the plans, dont forget that we have added the plan code copied from our paystack dashboard after creating the plans. As you can see, I am only calling the CreateSubscription of the API after I have checked if I was able to charge the customer. Listen for subscription payments According to the docs Events are used to track subscriptions. When a subscription is created, a create.subscription event is sent to your webhook URL. To track subscription payments, watch for the charge.success event sent for successful subscriptions. As always, the complete source code of this application is available on my github page. Please let me know how you have done yours or you have a better idea on how this can be done especially paystack staff. Happy Coding!.